This list introduces the ideas of the fixed and growth mindsets. Fixed mindset versus growth mindset, which is best and why? What are the different characteristics of these compelling mindsets? 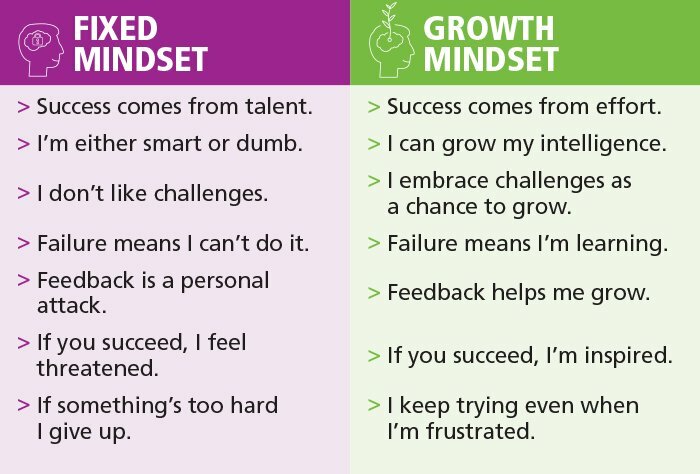 Carol Dweck, "Developing a Growth Mindset"
A free resource for educators and parents who want to foster learning mindsets such as growth mindset. Follow lessons and practices from experts and members of our community. These fourteen children's books send the message to kids that hard work, effort, and a willingness to learn and grow leads to success. 8 important ideas and simple strategies for teaching a growth mindset in the classroom. The article focuses on mindsets and the effect of praise on youth development. Studies reveal two student mindsets--children with fixed mindsets believe that intelligence is fixed, and those with growth mindsets believe that intelligence can be developed. Those with growth mindsets are more motivated to learn and capable of overcoming challenges. Also, the praise adults give on intelligence or talent alone result to fixed mindsets. Adults should praise the child's effort and practice process-focused criticism to foster growth mindset in the young. Our mindsets exist on a continuum from fixed to growth, and although we’d like to always have a growth mindset, the reality is that we can only be on a journey to a growth mindset. The goal is to recognize fixed mindset elements in ourselves and then reflect on feedback and strategies for how to improve.